What’s Going On With These Energy Stocks? Bonanza Creek Energy Inc (NYSE:BCEI), Approach Resources Inc. (NASDAQ:AREX), Denbury Resources Inc. (NYSE:DNR), and Whiting Petroleum Corp (NYSE:WLL) are each down substantially today. Let’s take a closer look at the four red energy stocks, see why they’re dipping, and examine hedge fund sentiment toward them to see if they make for good investment opportunities at their reduced prices. Why do we pay attention to hedge fund sentiment? Most investors ignore hedge funds’ moves because as a group their average net returns trailed the market since 2008 by a large margin. Unfortunately, most investors don’t realize that hedge funds are hedged and they also charge an arm and a leg, so they are likely to underperform the market in a bull market. We ignore their short positions and by imitating hedge funds’ stock picks independently, we don’t have to pay them a dime. Our research has shown that hedge funds’ long stock picks generate strong risk adjusted returns. For instance the 15 most popular small-cap stocks outperformed the S&P 500 Index by an average of 95 basis points per month in our back-tests spanning the 1999-2012 period. We have been tracking the performance of these stocks in real-time since the end of August 2012. After all, things change and we need to verify that back-test results aren’t just a statistical fluke. We weren’t proven wrong. These 15 stocks managed to return more than 102% over the last 34 months and outperformed the S&P 500 Index by 53 percentage points (see the details here). Energy stocks have soared in recent weeks as WTI rallied from $44 to $49. 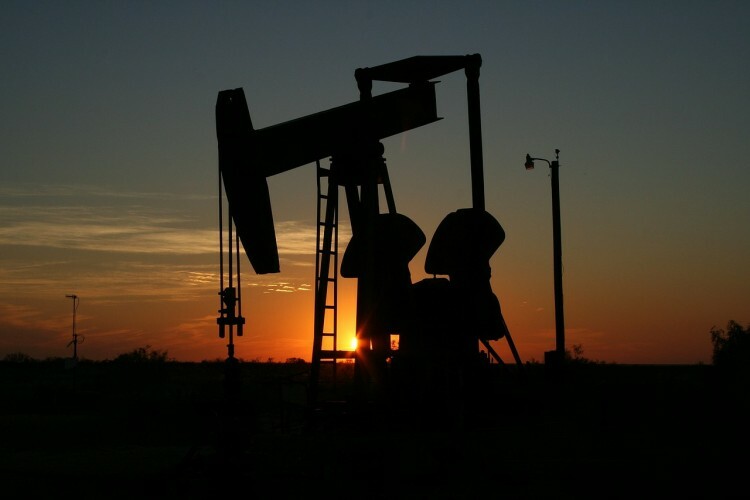 Investors are more bullish on crude’s supply and demand, as OPEC forecasts stronger demand growth and predicts substantial production cuts among high cost producers. In addition, the House of Representative has recently voted to lift a four-decade ban on U.S. crude exports. Because of the optimism, Bonanza Creek Energy Inc (NYSE:BCEI) rallied to $8 on October 9 from $3.88 on October 1, while Approach Resources Inc. (NASDAQ:AREX) and Denbury Resources Inc. (NYSE:DNR) surged to $3 from $1.94 and to $3.86 from $2.47 respectively. Whiting Petroleum Corp (NYSE:WLL) advanced to $22 per share from $15.57 in the same time period. Today’s pullback is mainly due to profit taking and technical consolidation, as well as due to an increased realization among investors that WTI will not jump past the producer’s break-even points all at once. Crude inventories are still near record highs and the market is oversupplied. Crude E&P’s with a higher cost of production than the current spot price need Saudi Arabia and OPEC to cut production substantially in order to make it out of the woods, and so far that hasn’t happened yet. Below, we analyze hedge fund sentiment toward the four stocks. Our data shows hedge funds have been cutting their stakes in Bonanza Creek Energy Inc (NYSE:BCEI). A total of 18 funds reported stakes worth $195.69 million (representing 21.60% of the float) in the latest round of 13F filings, down from 22 funds and $262.58 million a quarter earlier. Among them, Israel Englander‘s Millennium Management held 2.55 million shares, while Ken Griffin’s Citadel Investment Group reported ownership of 2.39 million shares. Hedge funds are divided on Approach Resources Inc. (NASDAQ:AREX). Although eight funds held stakes with an aggregate value $31.61 million, equal to 11.4% of the company at the end of June, 21.9% of the float is short. Jeffrey Bronchick‘s Cove Street Capital last reported holding 3.53 million shares.